Movie Hype: Glorious New OFFICIAL Picture Of New Batmobile Surfaces. It Has Guns. Yesterday the internet was turned upside down when several “spy shots” of the new Batmobile from the coming “Batman v Superman: Dawn Of Justice” movie surfaced. 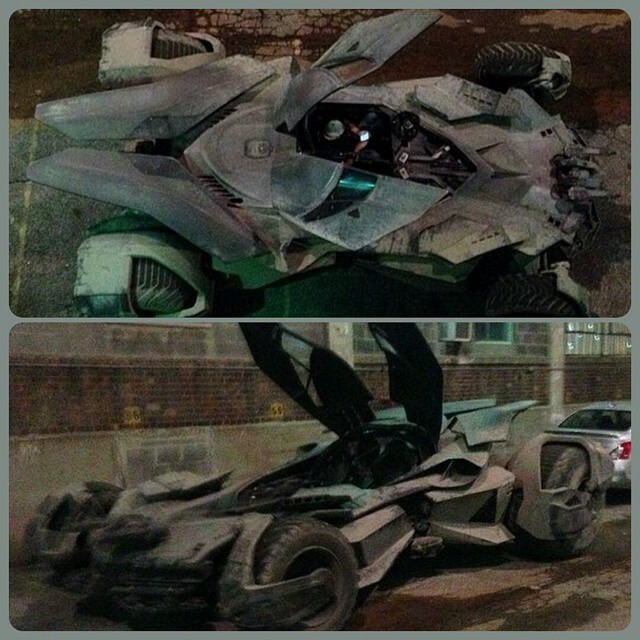 An individual who claimed to be working in the area where filming is currently taking place spotted the new Batmobile parked in an alley and covered in dust. He quickly pulled out his phone, snapped a few pictures and uploaded them to Instagram; moments later Instagram exploded. OK, it didn’t actually explode but things definitely jumped off. The grainy night shots quickly made the rounds from movie nerd sites to other automotive sites. Everyone was talking about it. However, there was a problem: the pictures sucked and the car was filthy. 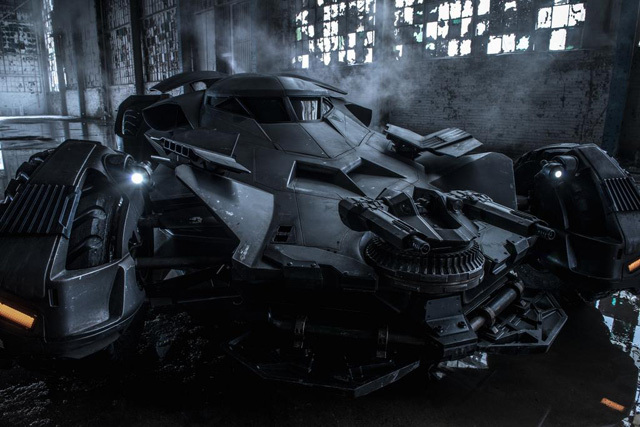 Most people didn’t care but no self-respecting Hollywood director would have one of his main props floating around on the internet looking shabby so Zack Snyder (the director) took to Twitter last night and posted a new picture “official” Batmobile picture. In the new shot (as seen above) the Batmobile is really featured in all its glory with big honking guns pointed right at the camera. That may throw off most Batman fans as the Dark Knight is known for his aversion to firearms but its quite possible that those gun turrets fire rubber bullets. Whether you agree with the guns or not its hard to admit they don’t look pretty badass sitting there. For a larger version of the new Batmobile image as well as the earlier leaked pictures click the thumbnails below.